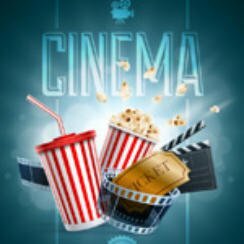 Popcorn Cinema Show takes a look at the weeks new cinema releases (27th November 2015) for the UK, US, Australia and New Zealand. The US sees the release of the Daniel Radcliffe film Victor Frankenstein. New Gremlins Film Not A Remake??? So the new Gremlins film is NOT going to be a remake according to Zach Galligan the BBC report. The actor who starred in both film says. “It’s not going to be a reboot. It will not be a remake in any way, shape, or form. Chris Columbus has come out and said that the first film is very near and dear to his heart and as long as he is alive it will never be remade. He also added he hopes to be in the new film. Love films then take a look at our Planes, Trains and Automobiles Blu-ray review! Welcome to the world of dinosaurs where an Apatosaurus named Arlo makes an unlikely human friend. Here we see Igor’s (Daniel Radcliffe) perspective, a troubled young assistant and his redemptive friendship with the young medical student Viktor Von Frankenstein (James McAvoy) as he witnesses how Frankenstein became the man we know today! Based on the true story of Whitey Bulger (Johnny Depp), the brother of a state senator William “Billy” Bulgeran and one of the most violent criminal in the history of South Boston. He becomes an FBI informant in order to prevent a Mafia family invading his turf. New York in the 1950s, a department store clerk falls for a older married woman during the Christmas season. The story of Lili and Gerda’s marriage and work as they navigate Lili’s journey as a transgender pioneer. So there are your movie releases this week, we would say the two films that may be of interest are Black Mass (Johnny Depp) and Bridge of Spies (Tom Hanks). Unfortunately the Daniel Radcliffe & James McAvoy movie Victor Frankenstein fails to impress!